NVIDIA DGX Station includes the same software stack found in all DGX solutions. This innovative, integrated system includes access to popular deep learning frameworks (Caffe, Tensorflow, Torch, Theano, etc.) updated monthly, each optimized by NVIDIA engineers for maximized performance. 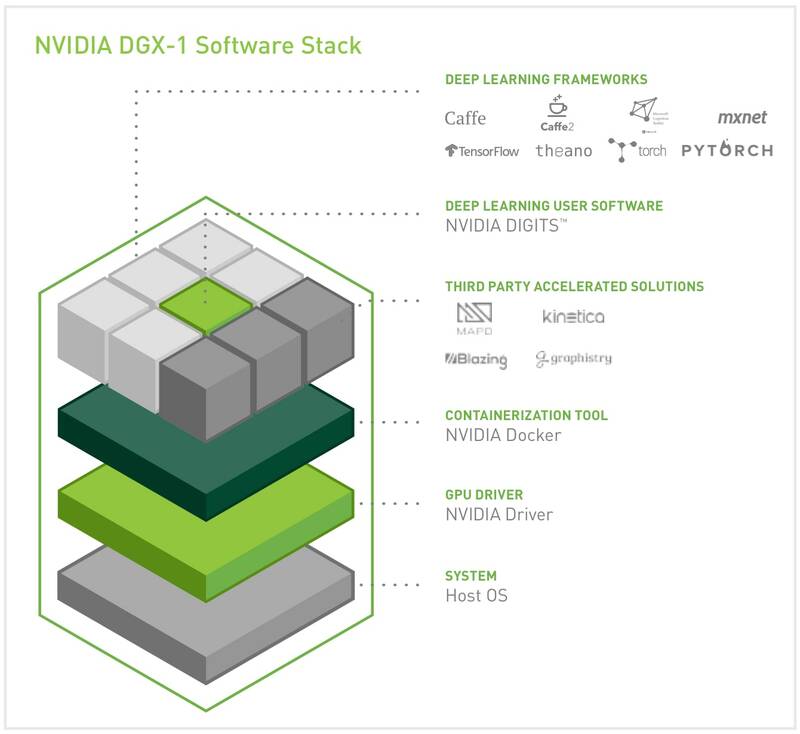 It also includes access to NVIDIA DIGITS™ deep learning training application, third-party accelerated solutions, the the NVIDIA Deep Learning SDK (e.g. cuDNN, cuBLAS, NCCL), CUDA® Toolkit, and NVIDIA drivers. Now you can get the computing capacity of 400 CPU's, in a workstation that conveniently fits under your desk, drawing less than 1/20th the power. NVIDIA® DGX Station delivers incredible deep learning and analytics performance, designed for the office and whisper quiet with only 1/10th the noise of other workstations. Data scientists and AI researchers can instantly boost their productivity with a workstation that includes access to optimized deep learning software and runs popular analytics software. 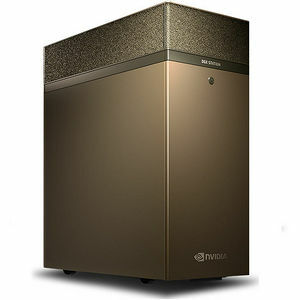 NVIDIA DGX Systems. Purpose Built for AI. NVIDIA DGX Systems support provides you with comprehensive system support and access to NVIDIA's cloud management portal. Get the most out of your NVIDIA DGX system and streamline deep learning experimentation by leveraging containerized application management, job scheduling, performance monitoring, and get software updates with NVIDIA cloud management.